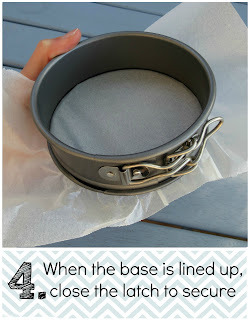 Southern In Law: How to Line a Spring form Tin - EASILY! 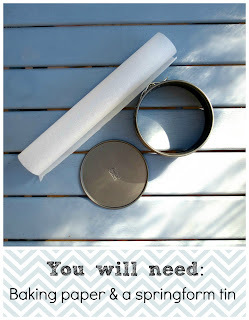 How to Line a Spring form Tin - EASILY! 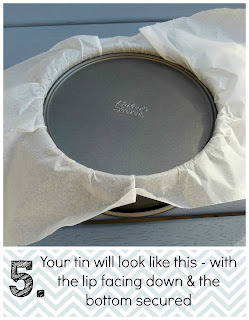 I have a method for lining springform tins which I thought was pretty ordinary, however, after explaining it to some friends and readers - and even a baking diva - I found that perhaps my ordinary method wasn't that well-known. 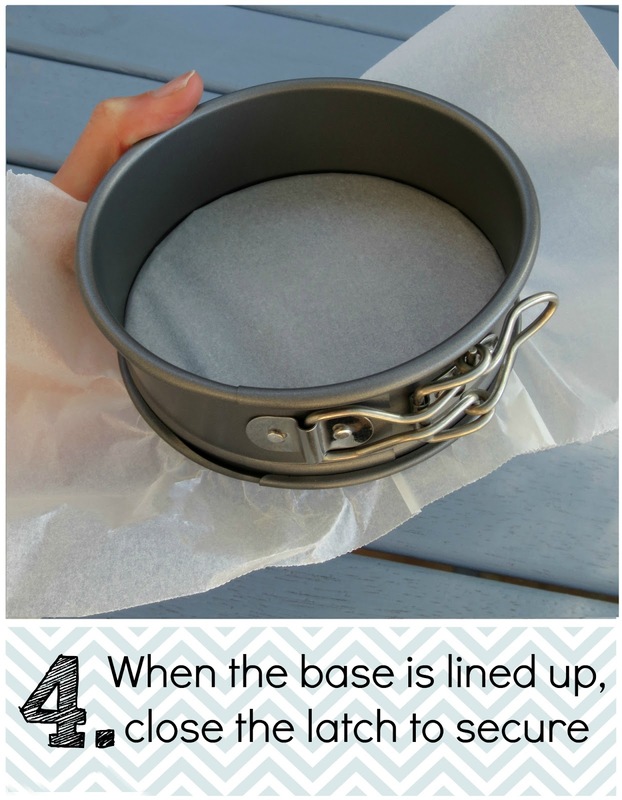 This post explains the easiest way to line a springform tin - and also the least messy! It also makes your cakes/bakes/quiches/cheesecakes way easier to get out as you're not having to lift the base of that evil lip! 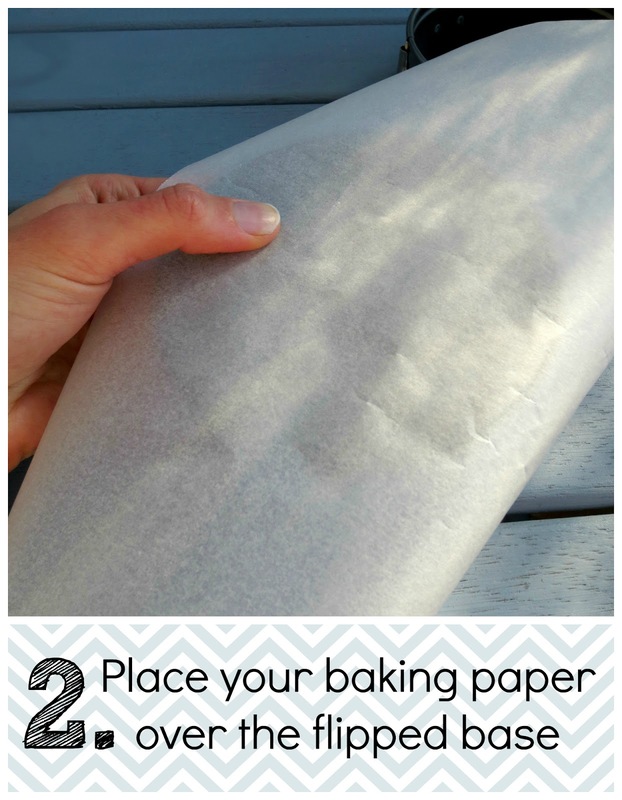 All you'll need is some baking paper and a springform tin. I used a mini springform tin (which I use for breakfast bakes and single serve quiches or quinoa bakes) as it was easier to take photos of - but this method works for springform tins of any size. 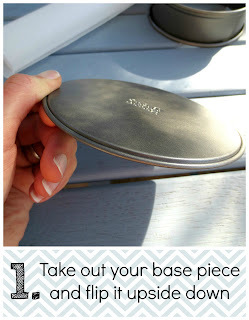 Next you'll want to grab the base of your tin and flip it upside down. The "lip" will be facing downwards. Not how you'd usually do it, but this is the secret! You only need a piece that's big enough to cover the base with a little bit of overlap. Push your covered lid into the groove at the bottom of the pan (just as you normally would). At first it may feel odd as this isn't how you usually do it - but trust me, after a few goes you'll get it perfectly. Secure your tin by closing the latch. If you've pushed the base in correctly, it'll close easily - but it might take you a couple of tries on your first go. When secured, the base of your tin will look like this. 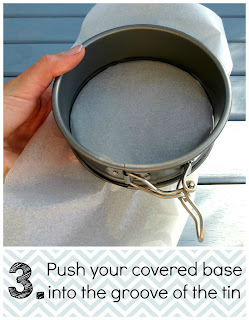 The base will be securely in the bottom of the tin and won't fall out when you push on it. If there are any creases or bumps in the paper, simply stretch and pull the paper to remove them. You want to be careful that you don't rip the paper. 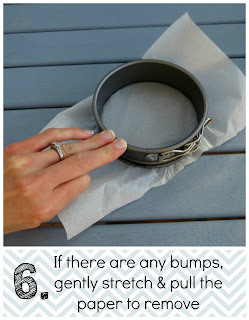 If there aren't any bumps - you're ready to pour in your mixture! And there you have it - the simplest, easiest way to line a springform tin! When you do it this way, all you have to do is run a knife around the edge, undo the latch and pop whatever is inside out! But tell me, do you have any baking or cooking tips or tricks? This is brilliant! I am so happy to have discovered your blog and just wanted to thank you for sharing all your wonderful ideas. I am looking forward to trying out the recipes!